The Campaign for Judicial Accountability and Reforms (CJAR) has approached the Supreme Court with a Review Petition challenging dismissal of its Petition demanding an independent probe into allegations of corruption in the higher judiciary. The Court had been petitioned after an FIR was filed by the Central Bureau of Investigation (CBI), alleging that a conspiracy was hatched by certain persons, including a former Orissa High Court Judge I.M. Quddusi to bribe SC judges hearing the case of a debarred private medical college. Since the matter of the medical college was being heard by a Bench headed by the Chief Justice of India, Justice Dipak Misra, the CJAR had demanded that the Petition be not heard by the CJI but by five other senior-most Judges. This was, however, not allowed and the CJI did deal with the Petition on the administrative as well as judicial side. 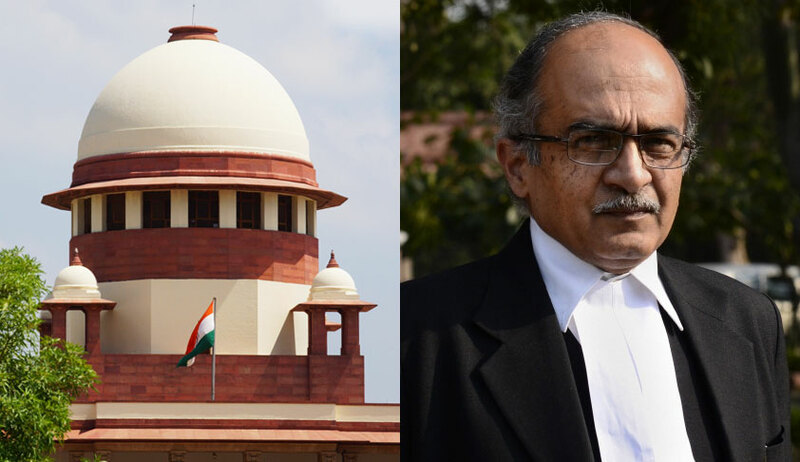 Thereafter, the Apex Court had dismissed CJAR's plea, observing that it was "wholly frivolous…contemptuous, unwarranted, aims at scandalizing the highest judicial system of the country". The Court had also imposed costs of Rs. 25 lakhs on it. The Review Petition now contends that the impugned judgment "contains several errors apparent on the face of the record leading to a grave miscarriage of justice". It highlights the fact that CJAR's Petition had not averred that the CBI had named a sitting Judge of the Apex Court in its FIR. It explains, "However, the nature of allegations in the FIR is such that the investigation by the CBI would have involved the judges hearing the said medical college matter at some stage even at least to verify as to whether the judges’ names were just being used by the accused only to make money for themselves. Therefore, the error has crept in when this Hon’ble Court said that there was no possibility of compromising the judicial independence as there was no investigation against the sitting judges of this court." The Petition also makes an attempt at explaining its demand for recusal of CJI Misra, submitting, "It is the basic principle of law that justice should not only be done, but seen to be done. Further, the legal principle of jurisprudence, nemo judex in causa sua is founded on the principle that no person shall be a judge in his own cause. It is not the Petitioner’s case that any of the sitting judges has been named in the said FIR which disqualifies him from hearing the present writ petition. Instead, it is the subject matter of the investigation, namely the case related to a medical college, which makes the case for recusal of a judge, who was part of the bench hearing the said matter." It then contends that a bona fide plea for investigation cannot be labeled as contemptuous and scandalous and that an SIT probe would, in fact, ensure "protection of the judiciary from baseless harassment". With regard to the costs imposed on it due to dismissal of a similar writ petition earlier, the Petition avers that the costs were imposed in violation of principles of natural justice and Rule of Law. It submits, "Despite dismissal of similar petition, it was the duty of the Petitioner’s counsel to make his submission before this Hon’ble Court so that he could persuade the court to grant the relief sought in the petition. This Hon’ble Court in the interest of justice has been revisiting its judgments, therefore, the Petitioner in bonafide belief argued the matter with a hope that this Hon’ble Court might entertain the petition if facts are properly placed before it and the court also gave patient hearing. At no stage the Petitioner’s counsel was made to understand that it would be saddled with such an exemplary cost even for making submission which he was fully entitled to do."